One criminal network is now at the top of the UK’s £5bn cocaine trade. Hellbanianz are an Albanian gang of street level drug dealers. Police say Hellbanianz occupy the lowest rung of the Albanian mafia (Mafia Shqiptare) and are the front line soldiers as the Albanian mafia consolidates control of the cocaine market. For years cocaine importers worked separately from its wholesalers. Pricing structure varied, depending on purity. The Albanians ditched the entire model. They began negotiating directly with the Colombian cartels. 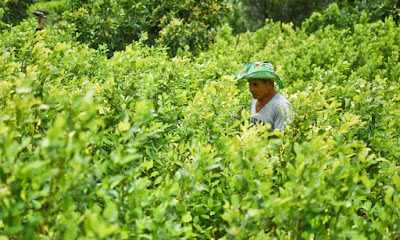 Huge shipments were arranged direct from South America. Supply chains were kept in-house and closed. 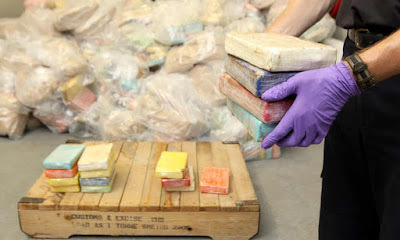 Albanians were procuring cocaine from the cartels for about £4,000 to £5,500 a kilo, at a time when rivals were using Dutch wholesalers selling at £22,500 a kilo. The Albanians lowered the price and increased purity. Rivals initially struggled to compete because they had an inferior, more expensive product. Soon they sourced their supply from Hellbanianz. The drug is at its cheapest in the UK since 1990 and purer than it has been for a decade. Fatalities are at record levels. Ports in Belgium and the Netherlands are key nexus points. It is thought a close alliance has been formed with 'Ndrangheta. Liverpool is said to be the only part of England not routinely selling Albanian-sourced cocaine. The Merseyside port has its own direct access to South America, and its turf is jealously guarded by the city’s own gangs. Albanians are highly regarded in criminal circles as always delivering. This has much to do with the Albanian code of besa – “to keep the promise.” Mafia Shqiptare must also be viewed through the code of kanun, the right to take revenge: that blood must pay with blood.